A modern display shelf or etagere can go a long way in your living room, family room, or office space. 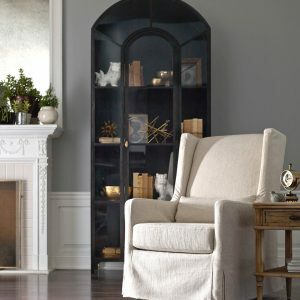 This is the perfect place to show off things like your framed college degree or your favorite souvenir from that trip to Paris. 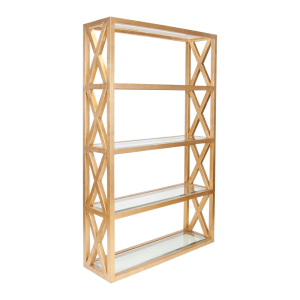 No matter what you decide to display in your shelving system, Katzberry offers a wonderful collection of display shelves and etageres from which to choose. 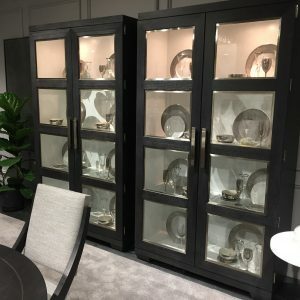 Whether you’re looking for something more modern, contemporary, or antique in appearance, you’ll love the furniture that we have to offer. Don’t forget to browse our outdoor furniture, lighting solutions, and home accessories as well. If you have any questions about one of our shelving units, or you have concerns regarding shipping, contact our team today. 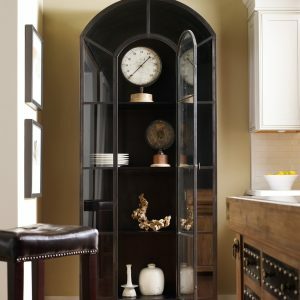 This arched-top display cabinet is made of solid iron sheeting and finished in soft matte black with contrasting brass hardware. 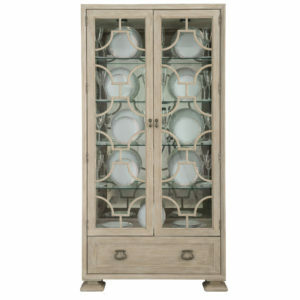 Features glass paneled front and swing open door. 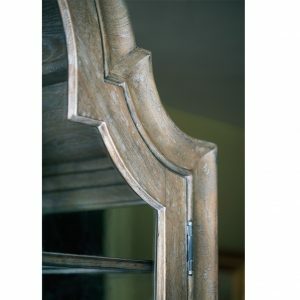 Classic contemporary design, constructed of 100% FSC – certified pine, using 18th Century jigsaw construction. 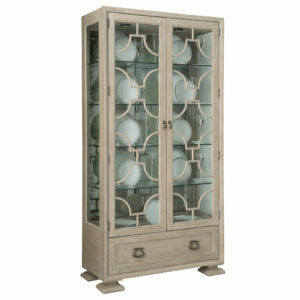 Cabinet has Sundried Ash finish and tempered glass on front doors and side panels. 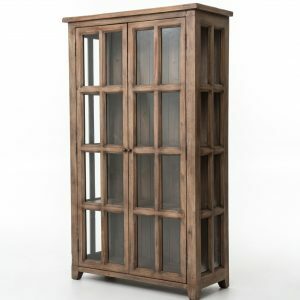 This beautiful display cabinet fits right in the living room, dining room, to the home office. 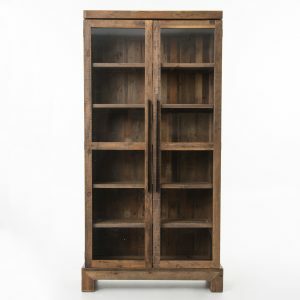 This classic bookcase has a beautiful rustic two-tone finish. 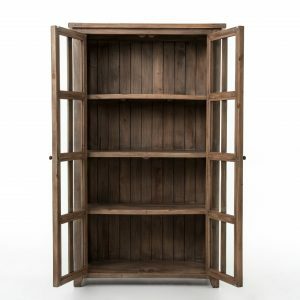 Exterior is finished in hand-rubbed black and interior shelves are reclaimed pine in a natural finish. 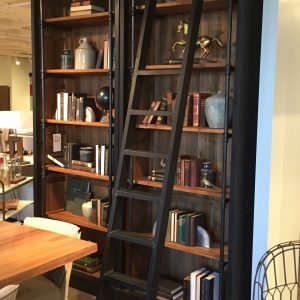 Bookcases feature a unique iron support and can be used with or without library ladder. 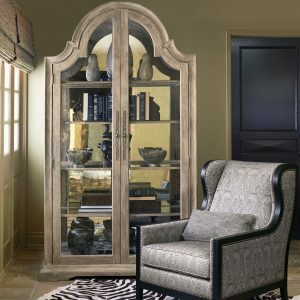 Contemporary design meets the rustic charm of natural wood. 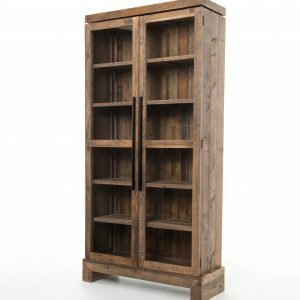 Naturally finished reclaimed wood makes a tall and stately cabinet. 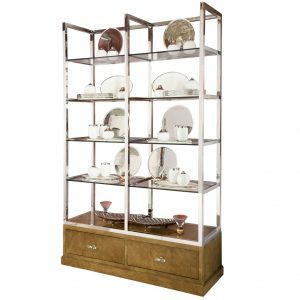 Features glass doors and elongated handles. 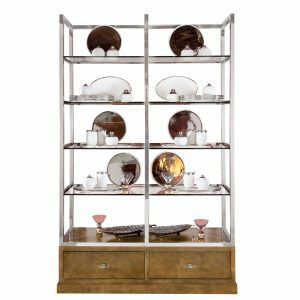 The X-Style Etagere is a classic design and comes in Gold Leaf Crosshatch or Polished Silver Crosshatch. It is a beautiful way to display all of your finest. 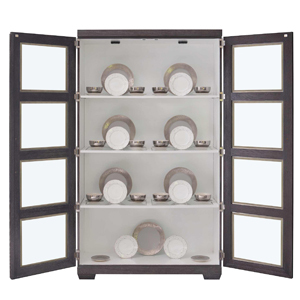 Comes with 5 clear beveled glass shelves.